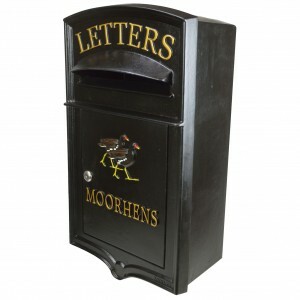 The Bantock railing letter box measures 435 mm x 265 mm x 430 mm. 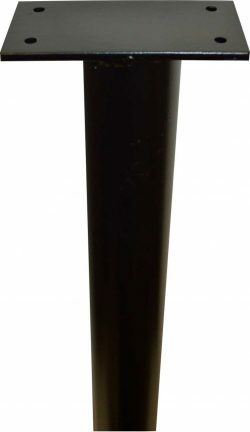 Fits over and onto railings/security fencing without cutting and welding. 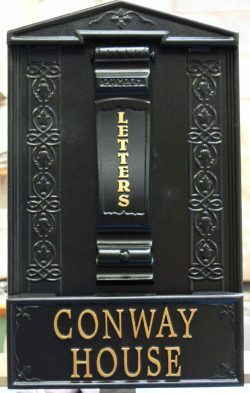 Ornate vertical raise and fall letter flap measures W 43 mm x H 243. 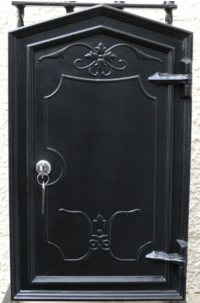 Secure matching locking cast iron rear door. 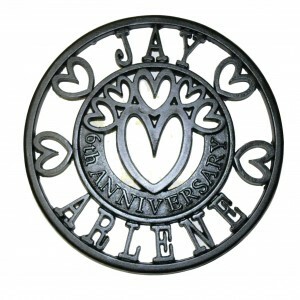 Optional Motif available or sculptured to your design. 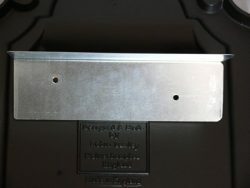 Optional Available in other colours. 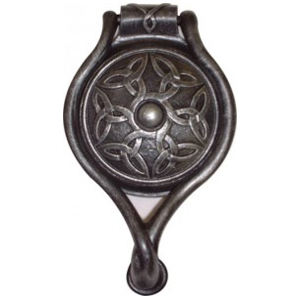 Optional Lumley Designs also finish in RAL no. colours by request. 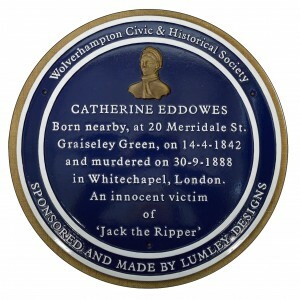 Designed by Lumley Designs Great Britain. 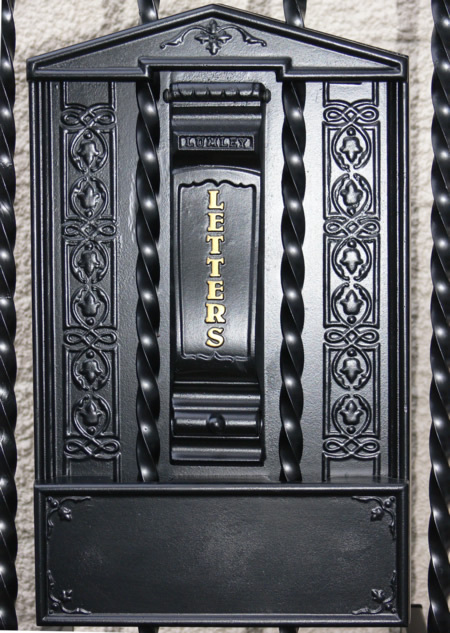 The Bantock is also available without decorative design with push in letter flap. 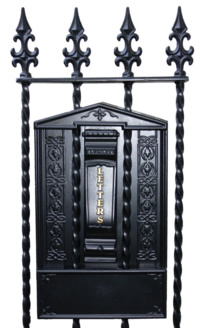 The Bantock Our latest security gate/railing letter box that fits straight over railings is proving to be a popular choice because of the unique way it fits, there’s no need to cut or alter your existing railings, the main body of the front plate fits easily on to the rails from inside of the property the top and bottom plate fit over the outside of the railings which are then bolted located inside the railing letter box, no drilling or welding is required all the fittings are inside the letterbox. 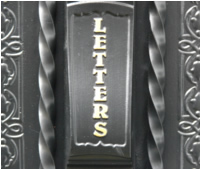 Each railing letter box is set and test fitted onto railing fittings in our work shop so it is necessary to state diameter of the bars and the space in between the your railings before ordering this will help fitting your letter box to your railings as efficient as possible. If you require more guidance a drawing of where to measure can be sent by email or please call me on 01902 453449. 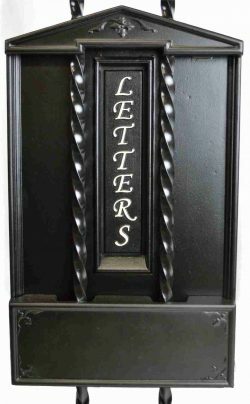 The Bantock railing letter box features an ornate raise and fall letter flap displaying the word Letters, relief decorative design throughout, detailed secure lockable back door fitted with a secure lock and keys. 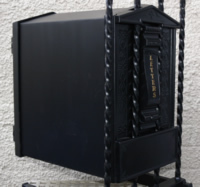 The Bantock postbox as a large mail collection back box that will take large amounts of mail, newspaper, catalogues, magazines and business post that can be retrieved easily from inside your property. 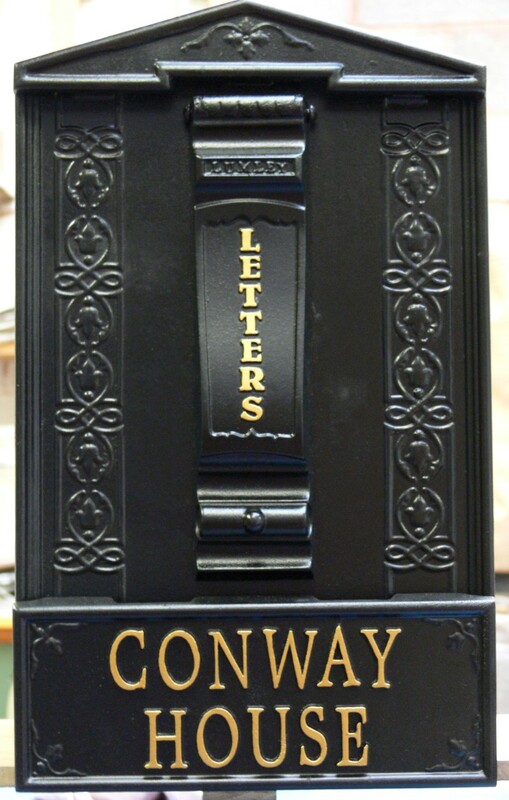 All our letter boxes are designed, and finished to your specifications, in a range of colours, custom personalised wording, numbers and motifs are permanent casts hand finished to your duress. Please select your options from the boxes to the right of the page. 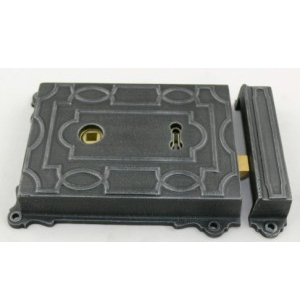 If you prefer a more personal service please contact us and we will do our foremost to fulfill your requirements, orders can be taken by telephone using our secure credit or debit card facility. 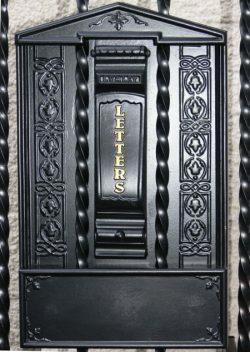 The Bantock railing letterbox a beautiful quality cast iron product designed and made demonstrating outstanding design and exquisite adornment by Robin Lumley at Lumley designs manufacturers of quality British made robust cast iron letter boxes.